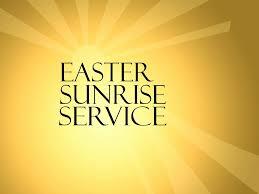 The Bridgewater Council of Churches sponsors the Easter Sunrise Service at Hanson Farm, 600 Pleasant Street, Route 104, Bridgewater, MA 6:30 AM on March 31, 2013. All are welcome. A community breakfast will follow the service at Central Square Congregational Church, 71 Central Square Church at the corner of Church Street.